It's been a long time coming but The Sims 3 is finally returning to a reasonable price point of $5 thanks to Steam's Summer Sale. Steam Store is also bundling in select DLCs at reduced price (saves you about $2.50), depending on the bundle you choose (add-on options includes University Life, Pets, or Showtime). Sims fan? Crazy deal on The Sims 4 pre-order! Get the game for essentially $36 only (or $40 depending on your bonus cash-back choice). More details here. The average price for this game since released is $14.26. The game first became 50% off on Dec 26, 2011 at Amazon. Lowest historic price was $4.99 on Jun 23, 2016 at Steam Store. The average price for this game since released is $20.87. The game first became 50% off on Dec 18, 2013 at GameFly. Lowest historic price was $4.99 on Jun 23, 2016 at Steam Store. The 11th and final Sims 3 expansion is now available for purchase at Gamefly for $32. Considering everywhere else is at the full price of $40, this is a solid deal for Sims 3 fans. And for those that aren't fans... Yes, you read it correctly: eleventh. History's in the making next week Tuesday - the final Sims 3 expansion pack will be released - The Sims 3: Into the Future. Turn your Sims into the Jetsons with hoverboards, jetpacks, monorails, hovercars, and more. Now that the new Sims 3 Dragon Valley has released the upcoming Sims 3: Into the Future expansion is available for preorder. As a preorder bonus you'll get a special Quantum Power Pack in-game bonus, which features a hibernation chamber and multi-function power suit. 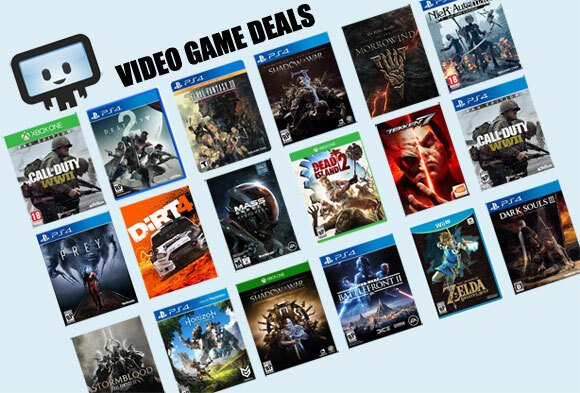 GameFly also has a 20% off coupon knocking $8 off the $39.99 list price. The release date is set to October 22nd. The average price for this game since released is $11.72. The game first became 50% off on Nov 28, 2013 at Origin. Lowest historic price was $4.99 on Jun 23, 2016 at Steam Store. The next Sims 3 expansion pack "Movie Stuff" releases next week already. GameFly has a 20% off coupon code dropping the preorder price from $20 to $16. The average price for this game since released is $20.84. The game first became 50% off on Mar 27, 2013 at Target. Lowest historic price was $4.99 on Jun 23, 2016 at Steam Store. Hey Mike sorry about that. This was Black Friday / Cyber Monday deal that has since expired. Sorry for not expiring it properly. Given it has dropped all the way to $10, we'd definitely wait for the sale to prop up again (end of the year gaming sale is always popular). Hmm. Target must be having a weird price mistake of sorts because the recently released University Life is usually around $28. Now The Sims 3 base game PLUS the expansion is $20 at Target. Good price if you or someone you know would like to revisit the franchise. The average price for this game since released is $18.88. The game first became 50% off on Sep 23, 2013 at GameFly. Lowest historic price was $4.99 on Jun 23, 2016 at Steam Store. The latest The Sims 3 DLC Island Paradise release June 25th and hit a new low today at GameFanShop. After coupon the price drops to $27.54 - elsewhere $40. Last month's release of Island Paradise (the 10th expansion) is now 25% off during Origin's Sims 3 Franchise Sale (lots of other expansion on sale too like the recent University Life, Seasons, etc). The new Sims 3: Island Paradise expansion pack releases tomorrow on PC. There's no discounts to be found, save Green Man Gaming's $8 credit or $5 cash back offer. The cash back essentially makes it a $35 purchase. Preorder before tomorrow's release date (6/25) and get the Limited Edition which include an exclusive Island Survival Pack. The average price for this game since released is $22.68. The game first became 50% off on Nov 26, 2012 at Origin. Lowest historic price was $9.99 on Feb 11, 2013 at Amazon. Hello. I am new to gaming, so I apologize if this is a silly question. What does it mean "requires the base game" for the Sims 3 Katy Perry game? Hey Andria, it means you'll need the regular Sims 3 game installed first (currently going for $11.99 on GameStop). The Katy Perry Collection is an add-on addition expansion pack, so you'll still need the regular Sims 3 edition first. Hope this clears it up! This game is usually above $30 and very seldom go on sale. But now it's only $16 from GameStop and it looks like it will be for a long time. Next best deal elsewhere is $42. This game requires the base game. The average price for this game since released is $10.94. The game first became 50% off on Sep 23, 2013 at GameFly. Lowest historic price was $6.39 on Oct 29, 2013 at GameFly. The Game of Thrones-like expansion for the Sims 3 released just yesterday. GameFly's coupon discount continues to knock $4 off the $20 MSRP. The next Sims 3 expansion wont' release until late October. It looks like the Game Of Thrones meet Sims 3 in the upcoming Dragon Valley expansion - which launches on Tuesday (Aug. 6th). Best discount online is 20% off at GameFly. Now bigger and better, Sims 3 simulates the whole town! Explore more places, discover untapped areas, make new friends, and get a life! Sims 3 has taken the Sims franchise to a different level. Customize everything from the appearance and personality of your character, to the building and landscapes of the whole town. The Sims 3 characters seem to have bigger bladders as they only need to use the toilet once or twice a day, making you focus on the more important aspect of the game. This game has very minimal loading time and you can change between characters immediately. There's no doubt that Sims 3 opened doors for a better follow up, and the graphics still has a lot of room for improvement.